Speculations about John Cena's Wrestlemania 35 appearance is now over! 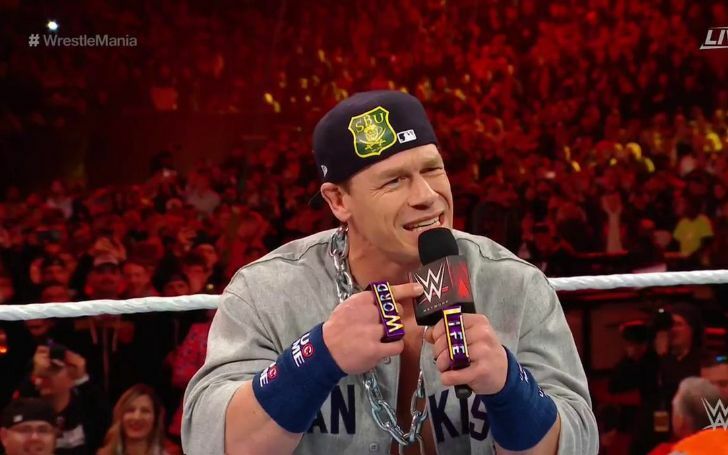 Finally, John Cena left the fans overjoyed by his brief, yet extraordinarily gracious appearance as the Dr. of Thuganomics at the Wrestlemania 35. In fact, it was a nice surprise for his fans both present at MetLife Stadium and those watching at home from around the world. In his short presence, the bearer of "Hustle, Loyalty, Respect" motto interrupted a live performance by another WWE superstar Elias with whom he had a feud in the past. In response, the latter put his guitar down and started putting off his shirt and just then an FU landed on his forehead. And then came a five knuckle-suckle, followed by an AA. As a matter of fact, the uncertainty of the "Never Give Up" hero's in-ring appearance this year also helped sell the WrestleMania tickets. He had left some hints prior to the year's biggest pay-per-view, that he would somehow manage to be in the ring. When "So, you are untouchable" started playing, one of the regular commentators, Michael Cole said: "There is a doctor in the house," and the fans cried out loud. And there he was with a metal chain around his neck and a lock attached to it. The bill of his hat was turned backside and he was successful at impersonating his classic version. 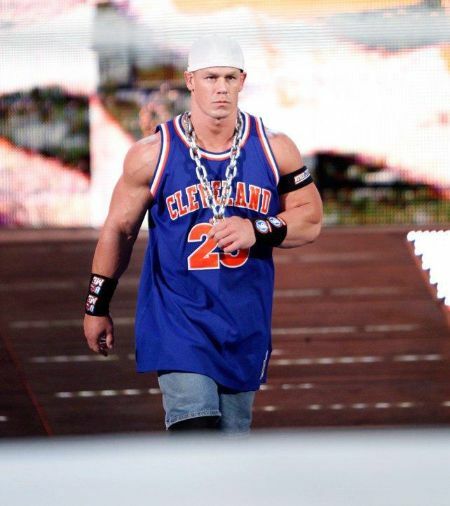 If you are a new follower of WWE who doesn't know the history of John Cena, you might not know that he actually rose to prominence as a rapper in his beginning days. John Cena as Dr. of Thuganomics. Following his in-ring dominance over Elias, he talked to Cathy Kelly and mentioned that he actually wanted just to be there and wanted to give the precious time for other talents. He had been out of in-ring competition since January this year. So, what do you think about his future? Wouldn't you endorse him appearing as the Dr. of Thuganomics in the days to come? We think his fans have not had enough of him, not just yet.